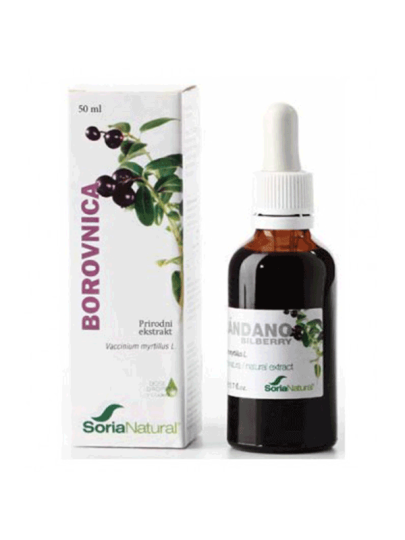 Soria Natural Blueberry is a natural extract of leaves of biologically produced plants in a nonalcoholic solution - a mixture of plant glycerin and purified water. Since tincture does not contain alcohol, it is also appropriate for children, liver disease and others. It does not contain colorants, preservatives or additives. One blueberry extract is sufficient for about two weeks of use. For best results it is recommended to use it for at least two months.